Another away game and more fantastic support for Newcastle United as 5600 fans made the journey to Deepdale in Lancashire for Saturday’s game against Preston North End. And they were rewarded by a resilient and fighting Newcastle side who managed to take all 3 points against an impressive Preston side who pushed the Magpies all the way. What with sold out games at St. James’ Park and the away allocation for road games quickly sold out, the Geordie fans are showing quite clearly why they are the best in the business. And Newcastle are currently a second division side. 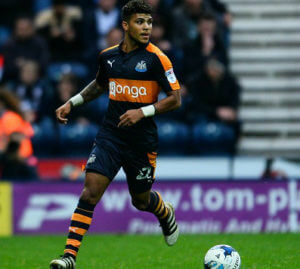 A favorite of the Newcastle crowd this season is new arrival – American DeAndre Yedlin – who had another solid game at right back for us on Saturday. Good words there from the young US International full-back and the fans deserve that recognition – they’ve been fantastic for Newcastle this season. BandB……….. Low grade sarcasm is one thing , by the way in response to being called an idiot. Your sick and demented rantings and unprovoked attacks on other bloggers followed by accusations of misogyny and threats of police action surely make you the most dispicable type of poster and human being. that’s what I like about this blog, it’s like one big happy family. A Welshie post made me chuckle! just to go back to townsend and which side he plays…modern players have gotten greedy for goals,townsend is moaning about playing on left,i think because he’ll not be able to cut in and shoot,getting himself in the limelight,whats wrong just being like nobby solano for example and be a good supply line to your striker from the left when your a left footer,or right when right foorted,same can be said for atsu tbh…..when the manager picks u if u play left supply,when u play right get involved cuttin and have a few shots….it is a bit of pet hate of mine this inverted wingers thing,especially when the players complain. Only now you are laughing at my posts, how dare you. IMO Atsu is a Striker and is slumming it on the wing to get game time. Not sure he would be very effective at covering the full back in the PL. Hibbett, don’t go marra. It’s just a blog after all and we all get targeted at some time. Give it back or just ignore it mate, no need to call it a day. Kick their butts mate, well it saves swans from doing it. Joking aside i think Cardiff will be alright this season, Warnock is a bit like Holloway they both know the championship inside out, those two I’ve got a lot of time for. Talking about swans, hoping for a good display tonight. they have had a little bit form come back in recent games,so might not be as easy as we’d like to think. Crooked Hilary Clinton has behaved inappropriately with her emails, she regularly accuses poor Donald of sexism and misogyny, she is corrupt and manipulating and is totally insincere whilst her whole persona and behaviour reeks of double standards. She reminds me of someone but I can’t just think who at the moment. Welshie…… I think your Swans will win tonight. That new manager is pretty shrewd and will keep them up in my opinion. Re.Townsend. You’re dead right there. Andros is a winger who can cross a mean ball more often than not. He doesn’t need to be amongst the goals. How many goals did Sir Stan score in his long career, and he was one of the finest wingers ever to grace football in this country ? a great player makes himself great coz of what he does in any position, not not by the goals or limelight,if townsend was creating chance after chance for strikers…his name would be highlighted anyway. The fact that Swansea has an American coach has nothing to do with this being an evening K.O. has it ? So a gun toting, rednecked, kkk sympathiser and racist, sexist, homophobe is preferable!! Trump reminds me of someone but I can’t just think who at the moment. Oooh oooh Blog Competition goody goody. Not replacing Ashley Williams and Bony is going to be a massive mistake this season. Rotunda….. The lesser of two evils. Ha ha ha. Glad to see Yedlin settling in well. In regards to the article about Atsu playing this weekend in place of Ritchie, I don’t think Ritchie will be suspended. He has 4 yellow cards in the league and one in the league cup. The league cup yellow doesn’t count towards the accumulation afaik. Stats might be wrong though. Making the trek over from the USA and will be at the game this Saturday so looking forward to seeing Atsu or Ritchie or Yedlin running the wings. I’m surprised you’re not there Roberto ! Cup bookings count towards a ban. Maybe you’re thinking of Italy or Spain where cup bookings are classed as separate from league bookings? Safe journey over for the game. Not sure, but it’s taking a long time for all these old posters who’ve been driven off to erm, come back on. 30+ comments without the international break. The place is bouncing. Swans back in it ! Keeping myself fit for Saturday Jib. Every game takes it out of me now mate. Judging by the 1st 10 minutes there’s going to be goals galore in this game. A bit of a dagger to the heart for Swansea – two ex-players combining for Stoke’s goal. Swansea have done well to bounce back from that and equalise – credit where it’s due. If Swansea were to get relegated this season would love the Toon to sign Sigurdsson should have signed him from Spurs when we got rid of Cabaye instead of De Jong and Cabella!! What a waste of money that turned out to be for us!! If I may I’d just like to set the record straight in terms of what I’ve supposed to have said. I think I’ve been slightly misquoted at times. Firstly, I didn’t say I couldn’t criticise Benitez because we are “top of the table and playing good football”. I would be the last to say we are “playing good football”. 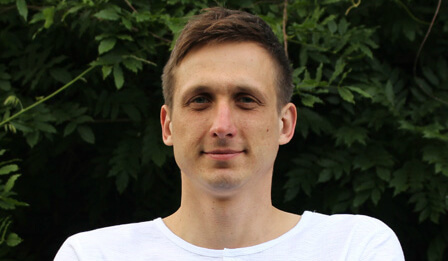 Most of the time we play turgid, defensive football with a big dose of good old hoofball. Other teams play better football than us and we’ve been lucky in a number of games. Also, I didn’t say Benitez was “just in it for the money”. I said that he was attracted to the money he could see on offer and another big pay-day would appeal to his ego. And I’ve never said or implied that I hope we fail. I just don’t like the people who run the club and it’s their perceived success that tarnishes any club’s success overall in my eyes. I’m not looking for validation of my opinions, I really just come on here to vent and get it out of my system. If I was looking for intellectual debate I’d go elsewhere, God knows. The Overrated Frenchman overrates the value of his own opinion. Out of curiosity, when did Hartlepool and Swindon get into the Championship.